Jazz Smollett is an American actress who rose to fame after appearing on ABC’s sitcom 'On Our Own' alongside her real-life siblings. Read this biography to know about her childhood, birthday, family life, career and other fun facts. Jazz Smollett is an American actress who rose to fame after appearing as Jai Jerrico on the ABC sitcom 'On Our Own'. 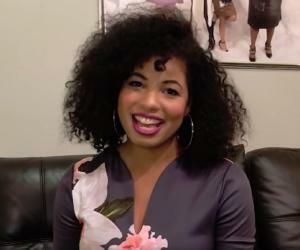 The series featured her real-life siblings – Jojo, Jussie, Jurnee, Jake and Jocqui – as her onscreen siblings. Recently, she has produced and acted in a few video shorts. She was a contestant on the reality cooking show 'Guy's Grocery Games' and appeared as a guest on many television shows, including 'The Today Show', 'The Chew', 'Rachael Ray', 'Home & Family' and 'The Dr. Oz Show'. In 2016, she co-produced and appeared on Food Network’s family cooking show 'Smollett Eats', alongside her siblings. In 2018, Jazz co-authored a recipe and cooking guide called 'The Family Table - Recipes and Moments from a Nomadic Life' with her siblings - Jake, Jurnee and Jussie. She is scheduled to appear on Cleo TV’s reality series 'Living by Design' with her brother Jake in the second quarter of 2019. 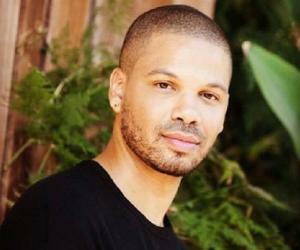 Much like her other siblings, Jazz Smollett began her acting career on the ABC sitcom 'On Our Own' in 1994-95. She portrayed the role of Jai Jerrico in all 20 episodes of the show, in which her siblings were cast as other Jerrico children. She took a hiatus from acting after the series ended and returned with the role of Lennox Jones in the short 'I Want You' in 2007. She next helped in the production of the shorts 'In Silent Spaces' (2008) and 'Always with You' (2009), the latter of which was written and directed by her future husband Troy Warwell. She produced the short 'Hydeia Broadbent Speaks' in 2009, and the video 'The Reel Story: 12 Years a Slave' in 2013. More recently, in 2016, she co-produced and appeared on their family cooking show 'Smollett Eats' with her siblings. Along with Jake, Jurnee and Jussie, she co-authored the cookbook 'The Family Table - Recipes and Moments from a Nomadic Life' in 2018. As one of the best cooks in the family, she gave several interviews following the release of their cookbook. 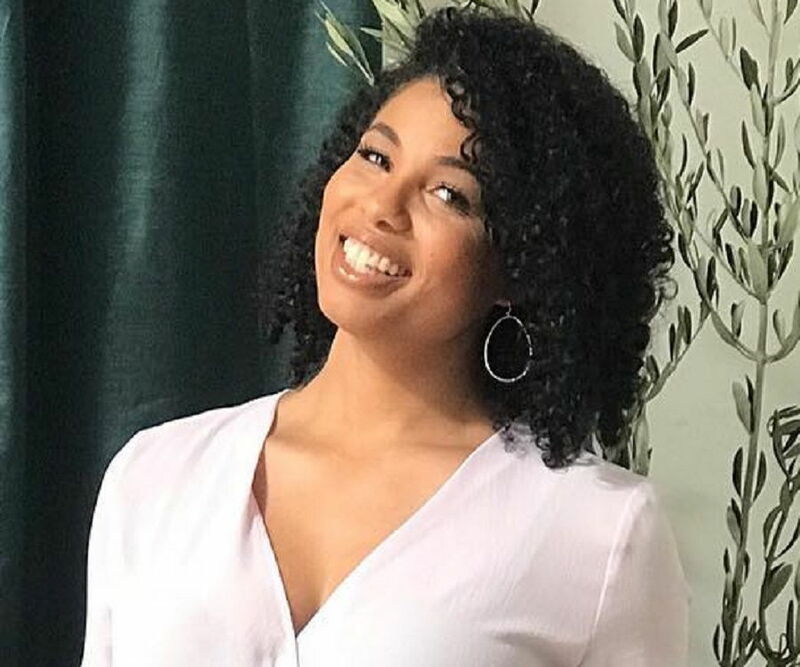 Jazz Smollett mostly stayed out of media scrutiny during the controversy involving her brother Jussie Smollett in early 2019. Jussie, an openly gay black artist, had earlier reported receiving a letter with death threats at his Chicago studio on January 22. A week later, he claimed to have been physically attacked by two people in an alleged racist and homophobic assault. 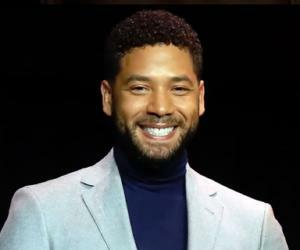 During a media appearance with her brother Jake, Jazz came forward in Jussie’s support and told the press that the 'Empire' star was "healing" after the traumatic experience. However, the incident took a steep turn after the Chicago police, which was investigating the alleged hate crime, said the assault might have been staged by Jussie himself. 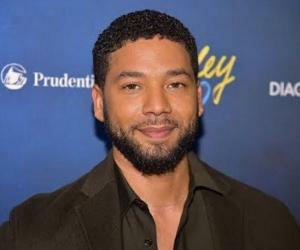 In the following weeks, Jussie was arrested, even though the charges were abruptly dropped later, prompting the FBI to get involved. While some of her siblings cried foul at this recent turn of events, Jazz restrained herself from making any further comments. Jazz Smollett was born on April 1, 1980, in California, United States, to Janet (née Harris) and Joel Smollett. Her parents are of African-American and Ashkenazi Jewish descent who trace their roots to America, Russia and Poland. Her mother was an actress, while her father worked as a cable splicer. Jazz is the second of his parents' six children. Her elder brother Jojo and her younger siblings Jussie, Jurnee, Jake, and Jocqui appeared together on the sitcom 'On Our Own'. Jojo has retired from acting, while Jussie is an actor and singer, who became famous after appearing on the Fox drama series 'Empire'; and films like 'Alien: Covenant' and 'Marshall'. Jurnee and Jake both acted in the film 'Eve's Bayou'. The youngest sibling Jocqui is a well-known data analyst who previously worked for the cloud-based software company ‘SurveyMonkey’. Her only sister Jurnee is married to musician Josiah Bell and has a son named Hunter with him. During an interview following the release of their cookbook 'The Family Table' (2018), Jazz revealed that their family moved at least 13 times during their childhood. She also mentioned that all her siblings inherited their cooking skills from their mother Janet, who once hand-built a dinner table from scratch. Jazz has known fitness and fashion model Troy Warwell since the 2000s and got married to him in 2012. His workout tutorial video 'Model Workout with Troy Warwell' is quite popular. 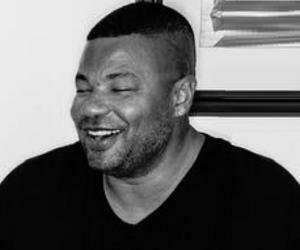 He is also a writer and producer, who is known for his video shorts like 'Amanda's Return', 'Always with You' and 'One Test Two Trust'. In 2014, the couple welcomed a daughter who can often be seen in their posts on their social media feed. Jazz currently lives with her family in Elmhurst, Queens.